For that is what it was seen as, modern. We now apply the name of Art Deco. Not the least of which is the Jubilee Pool. However, others are there to be found in Penzance. Frederick George Drewitt, returned from Shanghai and ended up in Penzance in the 1910s. His younger brother Colin Minors Drewitt returned from Montreal and came to Penzance in the 1930s. because of their totally different architectural lives. However, they both had the finest of their respective styles to offer. as the Drewitt family, and in that I include Geoffrey B Drewitt, son of F G Drewitt. In terms of architectural discipline, there can be no better. This town is the better for their contribution. 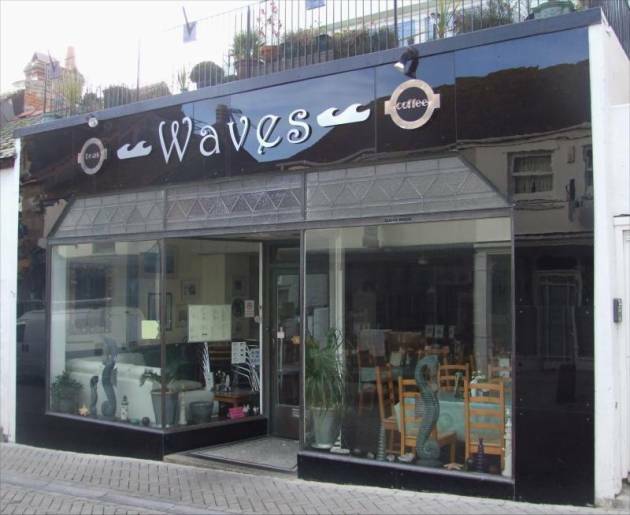 I will note two fine shop fronts of Penzance. and certainly well nigh the best in Penzance. whose phone number was Penzance 81.
and my aunt took a photograph of the shop display. The shop front probably dates from around 1924.
and it swept through the architectural world. as well as artificial lighting of glass the like of which has never been seen again. I hope that this frontage will be with us for many years to come. 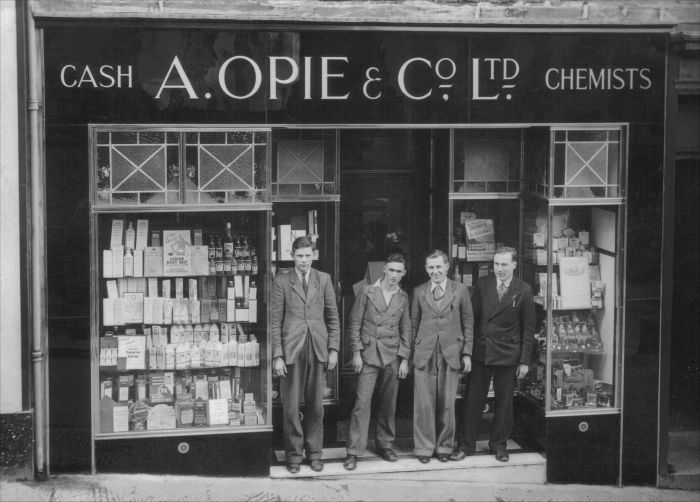 The other frontage was that at Nr 38 Market Place, the premises of Opie’s the Chemist. 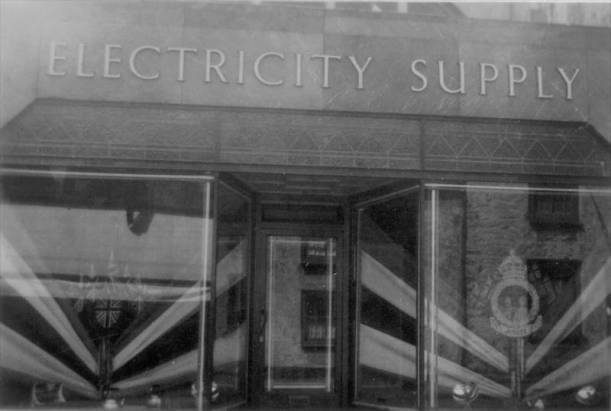 and so I have inherited a photograph from him of the staff standing at the shopfront. it has been replaced by the usual non-descript un-inspiring frontage that dominates our town.